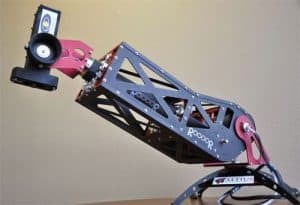 Business continues to look up for Longmont-based Roccor LLC. The aerospace supplier last year signed a licensing agreement with the Air Force Research Laboratory. Roccor is licensing patents to use Air Force Research Lab technology. Roccor said it will use those patents — called High Strain Component technology — to help devices handle high-pressure and high-strain and use it on spacecraft solar panels. Roccor plans to mass-produce the solar panels. Roccor recently expanded its Longmont facility. The agreement is taking place through the Air Force’s technology-transfer program, which ensures that the military branch’s science and engineering is shared throughout the industry. Aerospace firm Sierra Nevada Corp. is in the midst of a large-scale expansion in Louisville, one that will continue well into 2018. 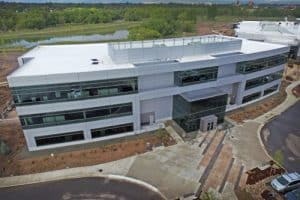 Sierra Nevada last year leased 101,000 square feet of additional industrial space at the Colorado Technology Center in Louisville, announcing plans in February to add up to 400 additional workers over the succeeding 18 months. Sierra leased 2000 Taylor Ave. from Denver-based Etkin Johnson Real Estate Partners, which constructed the building in 2016 on speculation. Sierra also occupies two other buildings in the city. The company employed 580 of its companywide 3,430 employees in Louisville, and plans to add more during the next 18 months, said company spokeswoman Kimberly Schwandt. Helping drive Sierra Nevada’s local growth is its Dream Chaser reusable spacecraft, which has been selected by NASA to resupply the International Space Station, beginning in 2020. Woodward Inc. (Nasdaq: WWD) attracted heightened analyst interest late in 2017, signaling that the Fort Collins-based company bears watching in the new year. The manufacturer of aerospace and industrial components beat analyst expectations for fourth-quarter profits, leading Drexel Hamilton and Credit Suisse to raise their targets for Woodward’s share price, to $94 and $80 respectively. What’s the allure that prompted Drexel Hamilton to tout Woodward’s “exciting future”? One factor is the push for more fuel-efficient aircraft. “This trend toward more fuel efficient aircraft favors our product offerings because we have more content on the newer generation of aircraft that have recently entered service or are scheduled to go into production over the next several years,” the company reported in its most-recent 10K filed with the U.S. Securities and Exchange Commission. Woodward employs 6,500 workers worldwide, including about 1,500 at facilities in Fort Collins, Loveland and Windsor. Front Range Biosciences’ co-founders are, from left, Chris Zalewski, Nick Hofmeister and Jonathan Vaught. 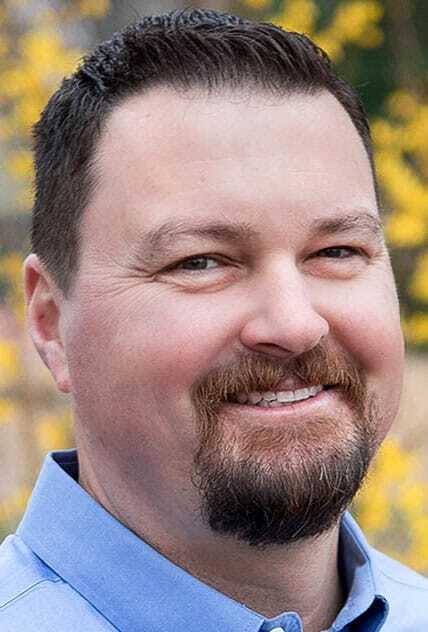 Courtesy Front Range Biosciences Inc.
Front Range Biosciences Inc., a startup agricultural biotech firm based in Lafayette, raised nearly $5 million in private-equity this past year as it ramps up efforts to bring attention to its products and services. Front Range Biosciences, founded in November 2015, provides industrial-scale tissue-culture propagation and advanced breeding for plants that will be less susceptible to diseases and mold contamination, reducing the need to use pesticides. The company is using genomics to map plant traits and advanced marker-assisted breeding to create new varietals with improved commercial value. “Investor demand was greater than expected, and we oversubscribed the round, validating our unique value proposition,” said Nick Hofmeister, the company’s chief operating officer and a co-founder. Pinnacle Agriculture Holdings LLC is embarking on a new era with changes at the top — Robert Marchbank replacing longtime company leader L. Kenneth Cordell Jr., who in 2017 stepped down as president and chief executive, and Mark Pedro taking on the jobs of executive vice president and chief financial officer. 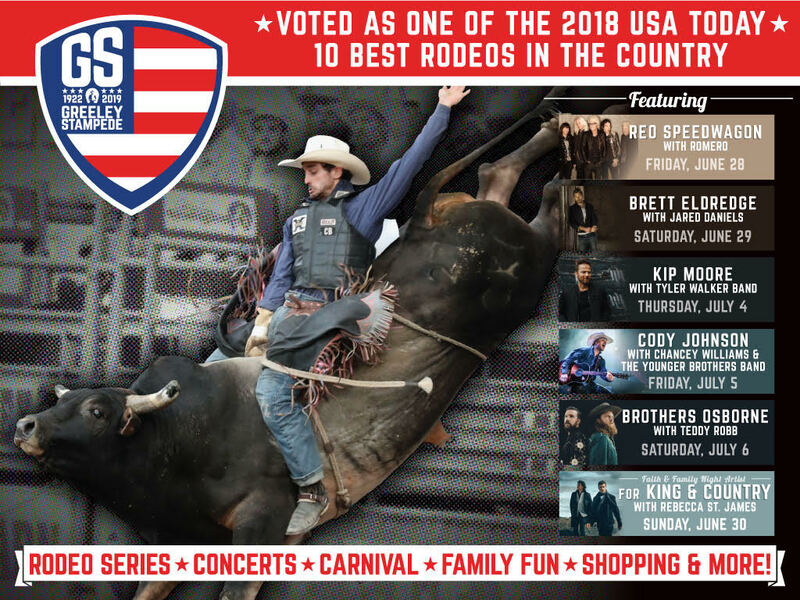 The Loveland-based company has agriculture retail and wholesale distribution businesses across 27 states under seven different brands. Its operations include seed production and sales, agricultural-chemical distribution, bulk handling of fertilizer, precision agriculture services and general merchandise for the farming, livestock and wildlife industries. In 2017, the company began shoring up its finances by reaching agreements with the majority of the holders of its first-lien loans and second-priority notes on a recapitalization plan to reduce Pinnacle’s overall debt, reduce cash interest costs, increase the company’s liquidity and strengthen its overall capital structure. The company also received capital investments from new investors and some existing creditors. Agrium Inc.’s $36 billion merger with Potash Corp. of Saskatchewan Inc., two Canadian fertilizer giants, finalized Jan. 1, creates one of the largest crop-nutrient companies in the world that will be called Nutrien. Just how the merger may affect the new company’s presence in Northern Colorado is not known. Analysts have been suggesting the prospect of selling off assets could be in the cards to meet demands of regulators worldwide. Agrium, based in Calgary, Alberta, in June opened a research facility in Greeley, where it also operates a production facility. The new 18,000-square-foot facility is used for researching and testing new fertilizer products. In July, Agrium broke ground on a four-story, 120,000-square-foot office building in Loveland that will be home to the company’s U.S. corporate and wholesale office employees. It’s been a little over a year since Capital One Financial Corp. opened its café concept branch bank at 1247 Pearl St. on the Pearl Street Mall in Boulder. Bankers are watching closely to see if the concept is a keeper. 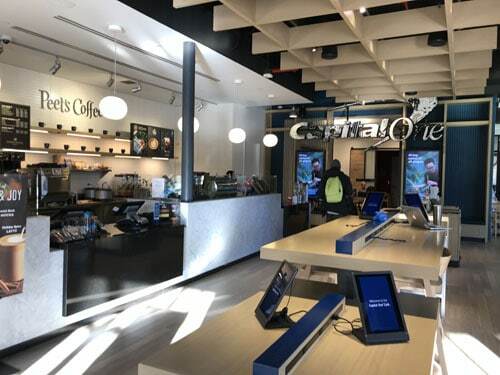 Capital One has incorporated a coffeehouse atmosphere with baristas on hand to operate the coffee shop, where people can camp out and use free Wi-Fi. Bank customers have access to touch-screen monitors to make deposits to checking and savings accounts, an ATM for withdrawals and access to “Café Ambassadors” who can help them use their own mobile devices to access online information about loans, credit cards, money market accounts and certificates of deposits. The ambassadors are armed with iPads to handle transactions face-to-face rather than from behind counters. 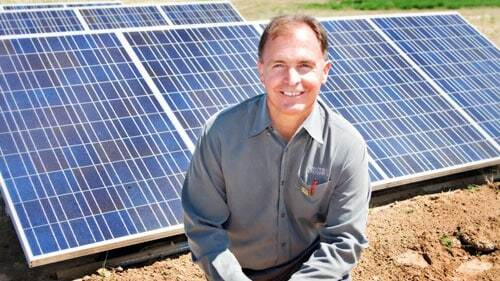 The Boulder-based credit union received a federal charter in September and is ramping up to serve national members of the American Solar Energy Society by using deposits that are federally insured to provide loans for clean-energy projects. The credit union will operate solely via online and mobile-banking applications, reasoning that reduced overhead will allow the credit union to pass on the resulting savings to members in the form of better interest rates and lower service fees. This asset manager based in Boulder focuses solely on creating funds to invest in fossil fuel-free companies that are seeking solutions to climate change and other systemic risks. The firm was launched a decade ago, but late this year reached a milestone of sorts — $100 million in total assets under management. Company executives believe there is a considerable return to be earned from investing in companies that integrate environmental efficiency into their business models. Armis Biopharma has been raising money — and deals. The Fort Collins-based biopharmaceutical company last year announced that it was raising $30 million in capital as it works to create localized and targeted treatments for infections. A Form D filed with the U.S. Securities and Exchange Commission said the funds would be raised by offering equity. The company previously had announced funding rounds that would have raised up to $34.5 million. The additional $30 million in funds would go toward initiating Phase 3 clinical study on a drug product that can be used on surgical sites before a patient is sutured to prevent infection. Phase 3 is expected to take place in the spring of 2018, and the company plans to bring to market other products in the second half of 2018: an anti-infective wound wash and a small bone implant with anti-infective coating. An issue with some antibiotics is that it can be difficult to get enough of the drug to the site of the actual infection. But with the products they are making, they can be applied directly to the site. 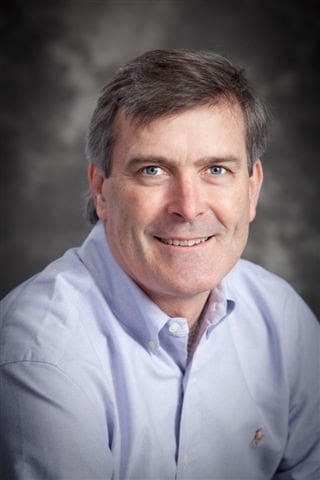 Armis Biopharma CEO Mike Handley told BizWest in November the company’s products provide better efficacy and decrease safety risks such as exposing organs to strong antibiotics and wiping out the natural microbiomes of bacteria in a person’s body that helps strengthen the immune systems. The Boulder-based biotech company — formerly known as Muse Biotechnology Inc. — changed its name in November and the following month announced that it was making a key gene-editing technology available to other companies for research and development, free of charge. Known as MAD7, the unique CRISPR enzyme was made available for all research with no upfront licensing fees or “reach through royalties” on products made using the technology. Inscripta will charge a small royalty if a company wants to use MAD7 for non-R&D uses, such as manufacturing, inclusion of the enzyme in therapeutics or for resale. CRISPR stands for “Clustered Interspaced Short Palindromic Repeats and are the basis for genome-editing technology. Inscripta’s announcement that MAD7 would be available free of charge for research attracted national attention, but the company also has secured the interest of investors, completing a $23 million Series B funding rounding in February 2017. 2017 was a pivotal year for SomaLogic Inc., a Boulder-based diagnostics company that analyzes individual protein information rather than genomes. The company raised $162 million — with most coming from Chinese company iCarbonX — to make its complete diagnostic exam commercially available. SomaLogic is a proteomics company, which means it studies the thousands of proteins that are in the blood system and uses them to draw insights on a person’s health. By studying and analyzing proteins, SomaLogic is able to identify what is going on in a body in real-time. The company was founded in 2000 by Larry Gold, professor of molecular, cellular and developmental biology at the University of Colorado Boulder. SomaLogic has been leasing the technology to other firms as a way to generate capital and develop the diagnostic tests. But through the iCarbonX investment, SomaLogic will be able to collect and analyze enough blood samples to finish creating a complete-health diagnostic test and make it commercially available. SomaLogic has been building satellite labs in Oxford, England, and China, and the company, with new CEO Alister W. (Al) Reynolds at the helm, recently joined a European consortium to develop new diagnostic tests for cardiovascular disease, potentially identifying therapeutic targets for drug companies. This Denver-based firm (NASDAQ: XOG), founded in 2012, does the majority of its field work in Northern Colorado in the Denver-Julesburg Basin. It has mounted a major play in the region as it buys up leases and rights extending over thousands of acres. Many of those acres are in areas that haven’t seen activity recently, such as in eastern Boulder County. In 2017, it sought drilling permits in a 1,280 acre area between Arapahoe and Baseline roads in the eastern part of the county and also on 2,720 acres near Oxford and Quail roads, also in eastern Boulder County. While local governments have expressed alarm, Extraction has shown a willingness to negotiate with local governments to find common ground. It recently negotiated an agreement with Broomfield to permit drilling along the Northwest Parkway. Such deals may be the new model as legislative efforts to permit local restrictions on oil and gas activity have not been enacted. Meanwhile, like other energy companies working the oil and gas fields of Northern Colorado, Extraction is experiencing significant revenue growth. Through three quarters of 2017, the company earned revenue of $390 million versus $183 million in the same three quarters of the prior year. Oil and gas property additions during that same period were in excess of $1 billion in 2017 as compared with $223 million in nine months of 2016. United Power, an energy cooperative serving 900 square miles of territory along the northern Front Range, announced in 2017 that it would build the largest battery backup system in the state in order to reduce the need to generate electricity during peak periods of the day. The 4 megawatts/16 megawatt-hours facility will use Tesla to supply the powerpack system. 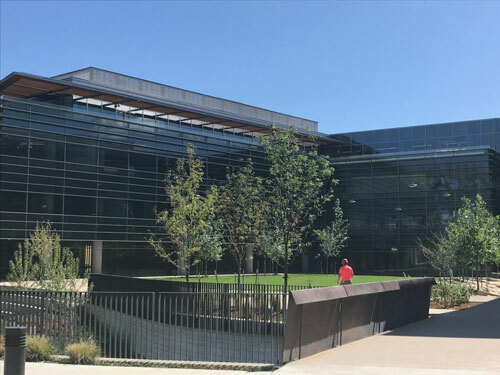 The intent of the development, to be placed at Firestone near Interstate 25, will be to store power generated overnight so that it can be applied to the United Power grid during peak periods of the daytime. The project will be worth watching in 2018 because of its implications for other power producers in the region and state. Utilities all over the state, including Xcel and the Platte River Power Authority, are installing large solar and wind generating developments in order to reduce reliance on coal and natural gas-fired turbines. Since solar only works during the daytime and wind turbines only when wind is available to turn them, storing that power for later use is essential. Development of reliable and cost-effective battery technology is an important consideration for utilities wanting to use more renewable resources. The United Power project will provide a meaningful test. Alpine Start, a maker of instant coffee ideal for outdoor recreators, is poised to grow in 2018 with the expected release of new products in the first half of the year. The Boulder-based startup raised $1 million in venture capital in November, partnering with San Francisco-based firm Slow Ventures. CEO Alex Hanifin also serves as vice president of Naturally Boulder, a trade group for the natural food industry and has a background with Boulder Brands and Hain-Celestial Group. In addition to raising funds, Alpine Start planned to use them to bring on two new team members in marketing and sales to spur growth. Although Hanifin did not share details of the new product, she did say it would be in the same segment as its current on-the-go coffee and is expected to be available in March. WhiteWave has long been one of the pioneers of natural food, and its merger with French company Danone has elevated it to an international player. In April 2017, the nearly $13 billion acquisition of WhiteWave was completed. The final agreement required Danone to divest itself of Stonyfield Farms to make it happen, but after nearly a year of discussion it was finalized. Now, the merged company plans a $60 million expansion in Virginia, investing in its plant-based manufacturing in Rockingham County. The expansion will add 49 new jobs, expand its warehouse and add to production capabilities for the merged company, something to keep an eye on as the company puts its investment to the test in 2018. The natural food giant Justin’s, which makes healthy and organic nut butters, has been around since 2004, but in 2018 will release 12 new products. 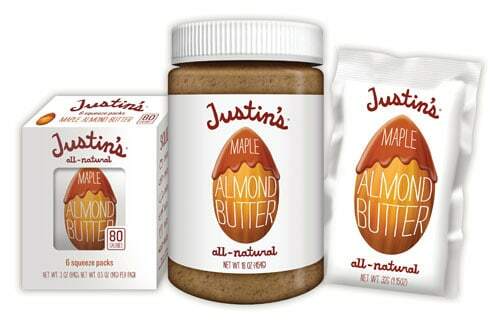 In the spring, the company will release new items along its nut butter and confectioners platforms, founder Justin Gold told BizWest. The Boulder-born company has been a part of the Front Range’s natural food evolution, helping to grow the industry to what it is today. Canaima Outdoors, which produces products under the Slackline Industries and TreePod brands, is on a major growth path because of the development of its TreePod line of canvas treehouses for adults. 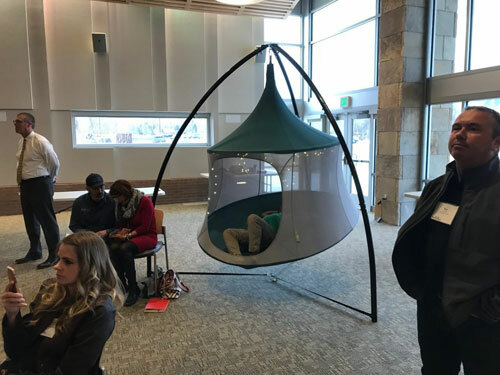 The company’s popular product is a cross between a hammock, a chair and a tent. 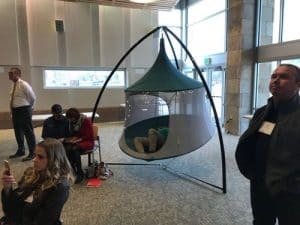 It can be suspended by a tree or from a suspension device that the company also sells. Prices for the treepods range from $199.99 to $329.99. CEO Ricardo Bottome told BizWest in December that the orders have exceeded supply as the company ramps up production to meet demand. Bottome expects demand to continue into the new year. Products are available from the company’s website, from Gander Mountain stores in Colorado and from Moosejaw Mountaineering in Boulder. 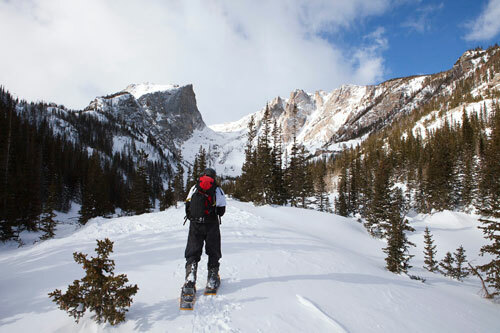 In a state that prides itself as an outdoor mecca, Colorado Wilderness Rides and Guides capitalizes on everything related to outdoor adventure. From team building exercises to family outdoor vacations, the company offers custom outings lasting part of a day to several days. Among the offerings are backpacking trips, mountain bike tours, fly fishing, float trips, peak ascents, rock climbing, photo tours, ski tours, ziplining, whitewater rafting, high altitude training and international trekking. About half of its activity is team building for organizations and half is leisure travel. The company prides itself on having assembled a robust stable of expert guides. It is one of a very few companies that have received concessionaire status at Rocky Mountain National Park for technical mountaineering. The company is experiencing revenue growth of about 20 percent per year and expects to do that again in the coming year. 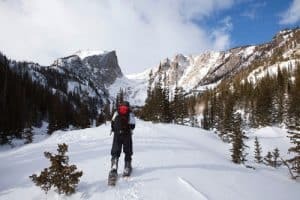 Joshua Baruch, company owner and manager, said that building infrastructure — in the form of permits to operate in RMNP, on Bureau of Land Management land, and elsewhere — has been critical to the growth. The company will capitalize on the Outdoor Retailer show by creating what it calls an outdoor cup event in which outdoor companies would compete in an outdoor activity. 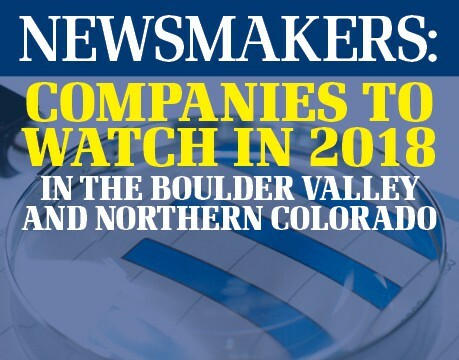 Feel the World, doing business as Xero Shoes, joins the Companies to Watch list again in 2018. 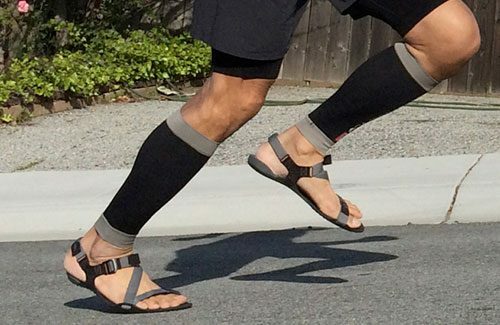 Broomfield-based Xero Shoes produces minimalist footwear in various styles from sports shoes, running sandals, casual shoes suitable for the workplace and, new in 2017, a boot called the Daylite Hiker. The company has been doubling its revenue annually since 2014 when it had $772,000 in sales. The company ended 2017 at just over $5 million and is projecting that it will double sales to $10 million in 2018. Company founders Steven Sashen, CEO, and Lena Phoenix, CFO, entered the crowdfunding realm in 2017 and raised more than $1 million. Xero Shoes are available on the company’s website, from Amazon, and at multiple retail outlets around the country. 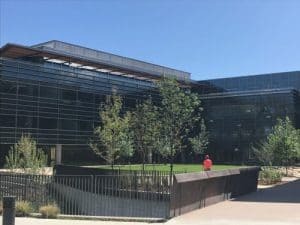 Employees started to move into Google’s new $138 million Boulder campus at the tail end of 2017, which will make 2018 the first year the tech behemoth will be working in Boulder in its new buildings. Pearl Place is the company’s new 4.3 acre site near the southwest corner of 30th and Pearl streets. The first phase of two buildings has been recently completed, but a second phase is still in the works. Google previously had 300 employees in Boulder and, with its new campus, will have a capacity of up to 1,500 employees. Prior to the completion of the project, Google had a workforce of about 650 people in Colorado. Two Boulder-based accelerators had a massive year in 2017, a momentum that will continue into 2018. 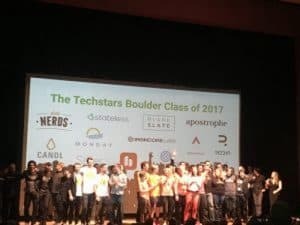 Techstars, one of the biggest accelerators in the world, continued to grow by opening new programs in cities like Minneapolis/St. Paul, Paris and Toronto and partnering with The Nature Conservancy and Stanley Black + Decker for specialized programs. A smaller accelerator program that is making equal strides is Boomtown, which opened its first location outside of Boulder, launching The Farm in Atlanta in partnership with Comcast. In addition to launching a second program, Boomtown also entered into partnerships with the National Health Council and CableLabs/ Upramp Accelerator for specialized cohorts in health tech and connectivity, respectively. In 2017, HPD created technology that helped the LIGO project win the year’s Nobel Prize for Physics. 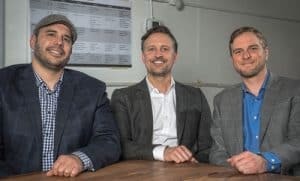 In 2018, the company will be one to watch, as it continues to develop its newly-launched and first wholly-owned subsidiary, QalibreMD. QalibreMD commercially offers up the company’s newest technology, MRI phantoms that can be used to standardize MRI equipment and results. HPD also has plans for other technology. Beyond its MRI phantoms, the company also makes cryostats for measuring extremely low temperatures and has plans for environmental monitoring systems in the works, which could be used for monitoring the air quality at decommissioned oil and gas wells.